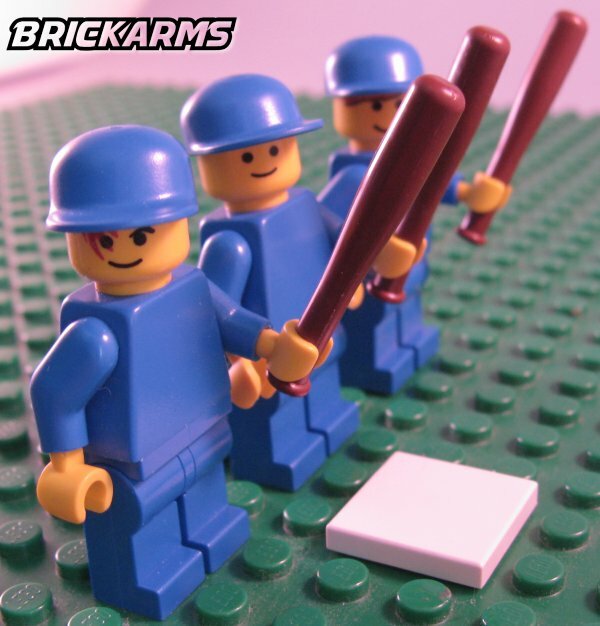 If spring is in the air, the grass is green, and the sky is clear, then it must be time for America's favorite pastime: loan sharking! 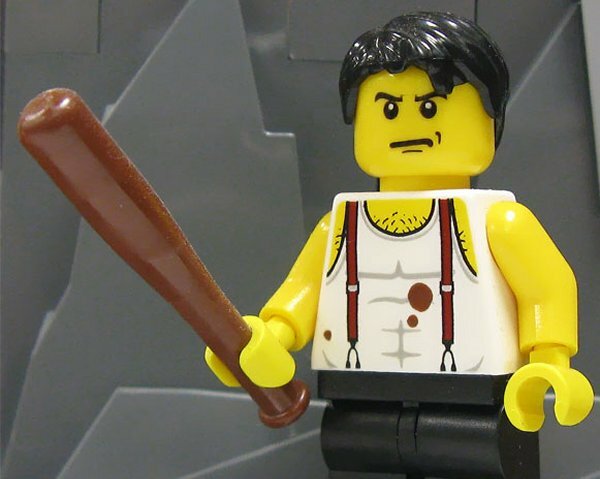 The baseball bat is equally famous for its use in sport and as a makeshift club for home defense and other less law-abiding pursuits. 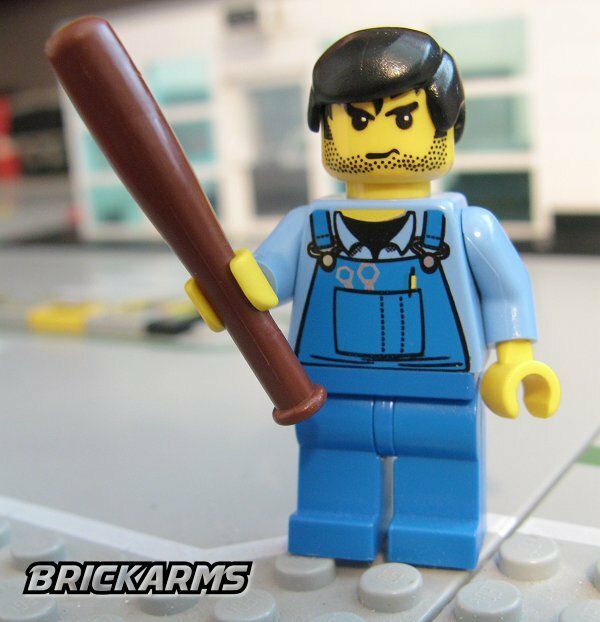 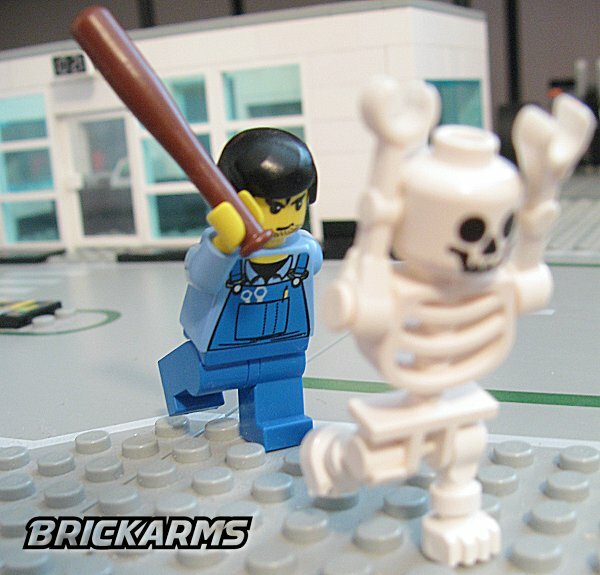 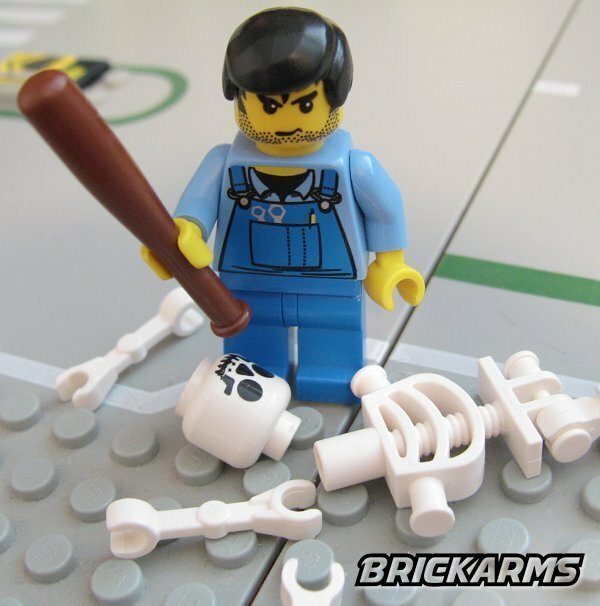 So if you're looking to equip your minifigs for a friendly game of baseball or a rumble in a back alley, either way the BrickArms baseball bat is a must-have item.